Give your tastebuds a vacation from the ordinary at Atlantis, Paradise Island. Atlantis, Paradise Island offers a variety of restaurants and lounges so you can enjoy everything from simple favorites with the kids to decadent dining for you and a special someone. I've listed a few of my favorites below. Located at The Cove, Master Chef and expert diver José Andrés features the freshest Bahamian seafood, incorporating a wide variety of ingredients from crustaceans to tuna, lionfish to conch. Japanese Chef Nobu Matsuhisa brings his world renowned Japanese cuisine to The Bahamas. Chop Stix - Contemporary Chinese cuisine. Chef Jean-Georges Vongerichten's re-invention of the historic Bahamian restaurant Cafe Martinique. Bahamian Club - Traditional fine dining in a warm and inviting club atmosphere. Casa D'Angelo - Chef Angelo Elia brings his award-winning South Florida Italian eatery to The Bahamas. Chef Todd English features his signature open kitchen and Mediterranean cuisine. Seafire Steakhouse - Modern steakhouse featuring smoked, seared and grilled fare. Sip Sip - Located at the Cove, Chef Julie Lightbourn brings her chic Harbour Island menu to two restaurants – one poolside and one in the sand, on Paradise Beach. 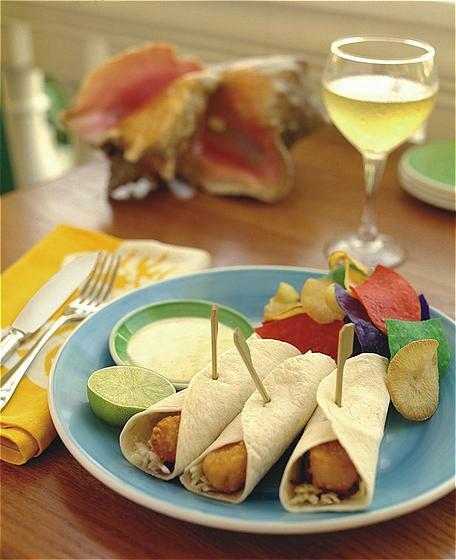 Frankie Gone Bananas - taste the Islands of The Bahamas with tru, tru Bahamian dishes that will make you go Bananas! Pirate Republic - featuring a variety of local beers, rated one of the best micro-breweries in the Caribbean and currently the only craft brewery in The Bahamas. Mosaic - Mediterranean-influenced restaurant features action cooking stations to prepare dishes on demand, from fresh fish to churrasco. Poseidon's Table - stunning breakfast buffet and a Sunday brunch with an array of morning favorites. Carmine's - lively atmosphere and family-style dining at this famous New York landmark. 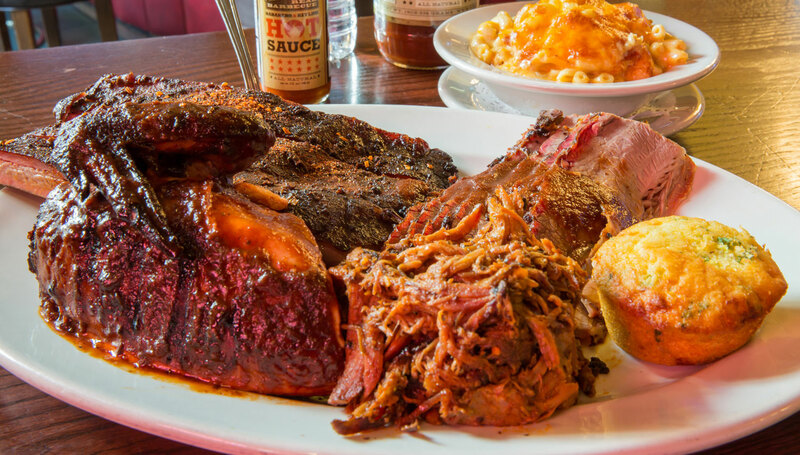 Virgil's Real BBQ - family-style dining in a rustic and casual atmosphere with fabulous BBQ with a range of rubs and marinades enhanced by hours of gentle smoking over hickory, oak and fruit woods. Murray's Deli - NY style deli with 1950's décor and beautiful majestic views of the Atlantis Marina. Lagoon Bar & Grill - enjoy lunch in the open-air terrace under the aquatic painted domed ceiling. The Village Burger Shack - casual, family-friendly dining experience with indoor and alfresco dining. The Point Restaurant & Bar - features a dinner menu with a selection of salads and sandwiches, as well as steak, chicken and seafood. Great place to watch the sunset over dinner. Sun & Ice - Bahamian Chef Wayne Moncur offers ice cream, gelato and sorbet experience at the Coral Tower. Marina Pizza - order a traditional pizza with your favorite toppings at this modern, dockside pizzeria. Shark Bites - casual restaurant and bar, located at the base of the Mayan Temple, features a relaxed atmosphere with food available al fresco. Burgers, sandwiches and refreshing cocktails, plus kids’ meals to go. 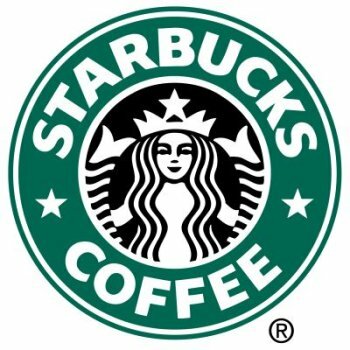 Starbucks - coffee blends and signature iced drinks. 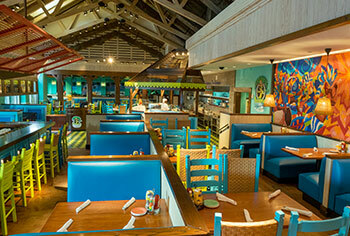 Four locations: Coral's lower level, lobby of The Reef, Marina Village, and the Mayan Pool deck. Ben & Jerry's - Explore Ben & Jerry's world of flavor. Cave Grill - experience close-up underwater views of a thriving marine habitat while having a quick lunch in a Bahamian cave or on the patio overlooking the ocean.